Are you looking to purchase a new home? If you are considering purchasing a new home, or buying vacant land with a view to building a new home, you may qualify for one or more of the current NSW Government schemes that provide grants or concessions to eligible purchasers of new homes. 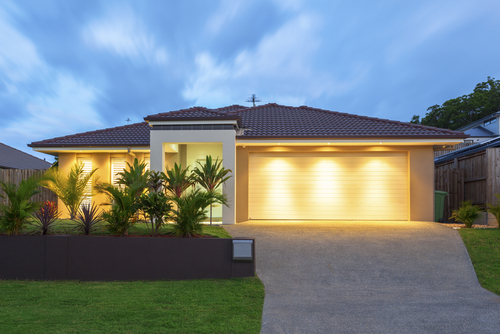 The NSW New Home Grant Scheme provides a grant of $5,000 towards the purchase of a new home, a home off the plan and vacant land upon which the home will be built. A "new home" is a home that has not been previously occupied or sold as a place of residence and includes a home that is substantially renovated or a home built to replace demolished premises. The grant is only available for properties up to a certain value. For vacant land purchases, the laying of the foundations of the new home must generally commence within 26 weeks after the completion of the purchase of the land. Click here to read more about the NSW New Home Grant Scheme. More generous grants and concessions are available for those purchasing their first home, being a new home. There are two schemes available and, if eligible, an application can be made under both schemes. The first scheme is the First Home New Home Scheme and provides eligible first time purchasers with exemptions or concessions on the land transfer stamp duty. There are stricter requirements to qualify for this scheme. To see the qualification requirements for this scheme click here. The second scheme is the First Home Owner Grant (New Homes) Scheme which provides a $15,000 grant for eligible first home purchasers of new homes. The grant will reduce to $10,000 on 1 January 2016. This scheme has even stricter criteria that need to be met and we suggest you carefully read the Fact Sheet. Macmillans Waller Fry - Solicitors Maitland are always here to help. So if you would like to discuss your eligability for any of the Home Grant Schemes please contact our friendly and knowledgeable staff on 4933 5355.